Join us for a very special weekend workshop for the Seattle Dance Community! Due to an initial lead/follow imbalance in registration, we will need to put all further single follows on a waiting list for the 10am & 2pm workshops (you can still join the woman 12pm styling class, no problem) All single leads and lead/follow couples will still be admitted right away. Our sincerest apologies for any inconvenience this might cause. Follows, please complete the registration page none-the-less. When a space opens up, we will be happy to honor the price that corresponds with the date you registered). Single Leads are needed to help take follows off of the waiting list! Come on, leads! We have follows waiting for you to get them in! 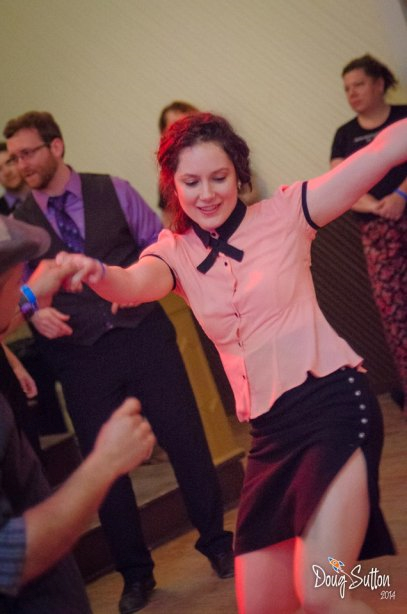 Flouer is deeply dedicated to building community through Blues dancing, and believes that people physically moving and learning together can lead to powerful experiences. She is the director of "Blues Dance New York", through which she hosts a weekly blues dance called "Friday Night Blues NYC" and holds monthly workshops and classes with various local and national instructors. With over 17 years of training in various forms of partner dance, having performed and competed throughout Europe, North and South America, and having acquired her MFA in Dance, Flouer presents a very contextual, wholistic approach to Blues. In her classes, this approach often translates into encouraging individual artistry while paying close attention to connection, technique, and historical references. Flouer can be found teaching full time in New York City and running her dance events -- "FNBlues", "Nocturne Blues", "Melting Pot", & "Motley Hue". THEME: "Striking Out in New Direction"
A) 10-11:00am: "Ballroomin' Basics & Styling": Ballroomin' is the jazzy side of blues dance. It is a traveling dance generally done to slow big band music. This class will teach you the basics and some styling tips. B) 11-12:00pm: "Blues that Moves! 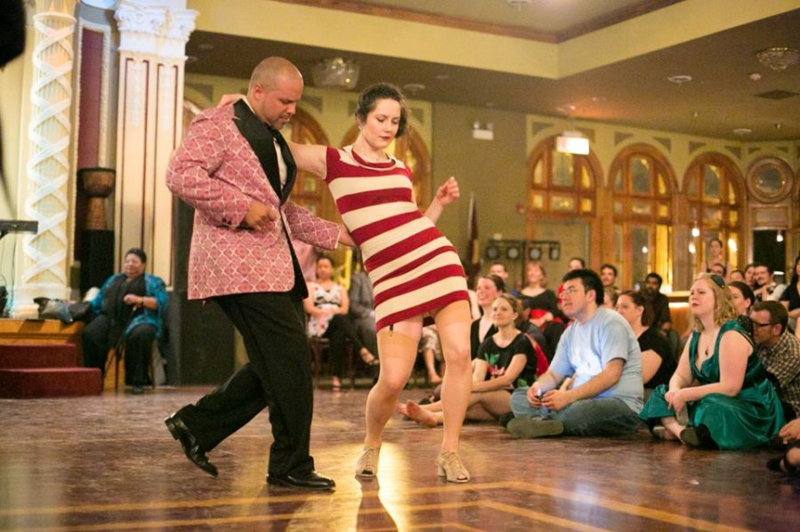 ": Building on your knowledge of the travelin' blues, in this class you will learn some fun & creative ballroomin' combinations that will make you feel like you are floating on the dance floor. A) 2-3:00pm: "Getting Funky - Blues Musicality & Expression: Musicality is an easy way to add your own personality to your dance without disrupting the flow of your partner. We'll get down with our bad selves and then we'll talk about how to easily meld expression, musicality, & partnering to the music. B) 3-4:00pm: "Improvisational Connection": This class will push you out of your normal dance box! We will focus on blues connection from a kinesthetic and creative point of view, broadening our ideas of what we can use to create connection. ALL WORKSHOPS: China Harbor, 2040 Westlake Ave N., Seattle. Flouer will be available for private lessons all day Friday, and on Sat or Sun when she's not at the workshops or dances. The charge for private lessons is $75/hr if you are registered for any part of the Workshop Weekend, or $85/hr if you are not. Please contact arilevitt@rolluptherug.com to set up lesson times. Lessons will be held at a private residence/studio in the Eastlake area of Seattle (just off I-5 & 520), unless other arrangements are made with Flouer.